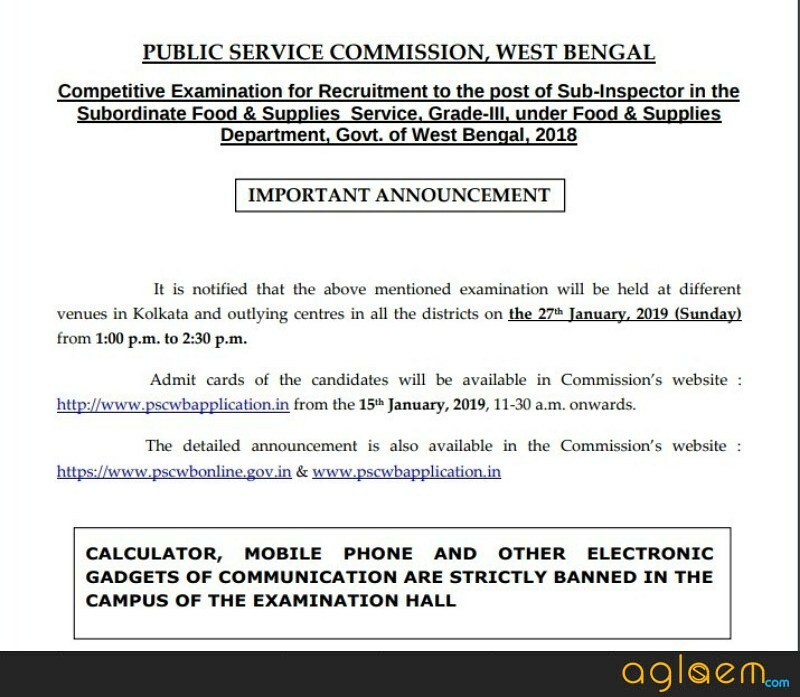 WBPSC SI Admit Card 2018 – West Bengal Public Service Commission (WBPSC) has released the WBPSC SI Admit Card 2018 on January 18, 2019. The admit card has been released at the official website i.e. www.pscwbonline.gov.in. WBPSC Food SI exam date is January 27, 2019 (1:00 pm to 2:30 pm). For downloading the admit card candidates need to mention the enrollment number or First Name and Date of birth (DOB) on the login page. The candidate who has successfully registered for WBPSC Food SI 2018 for those candidates only WBPSC SI Admit Card 2018 has been issued. From this page, the candidate will get full updates regarding WBPSC SI Admit Card 2018. Admit Card is key to enter in the examination hall. It will be mandatory for all the candidates to bring their admit card on the day of the examination, the candidate who will not carry the hard copy of the admit card will not be allowed to appear in the examination. For more information regarding Admit Card candidate can see the below-mentioned schedule. Admit Card: Click Here to download the WBPSC Food SI Admit Card 2018. How To Download WBPSC SI Admit Card 2018? For downloading the WBPSC Food SI Admit Card 2018 follow the below mentioned steps. After downloading the admit card candidates should take the print out of it for future reference. Thereafter, clicking on the link Sign in the page will appear. Enter all the details which have been asked in the Sign in, page (enrollment number or First Name and Date of birth (DOB). After entering the details click on the Search button. Admit card page will appear after that click on the download option. On the WBPSC SI Admit Card 2018 following detail will be mentioned. After downloading the admit ard candidates should first check the details mentioned on the it. If admit card is containging any incorrect details regarding you then immediately contact to the releasing authority of the admit card. Candidate can see the examination center list from the below-mentioned table. Only ST candidates of Darjeeling district and other candidates of the three hill sub-divisions, namely Darjeeling Sadar, Mirik, and Kurseong will be allowed to appear at Darjeeling center. Similarly, all candidates from the Kalimpong district will be allowed to appear at KALIMPONG center. After the written examination, the Personality Test will be conducted in the office of the Public Service Commission, West Bengal, in Kolkata. Before starting the preparation candidate should go through the syllabus. The syllabus will help the candidate to find out the names of topics and subjects. From below candidate can see the WBPSC SI 2018 Examination Syllabus. 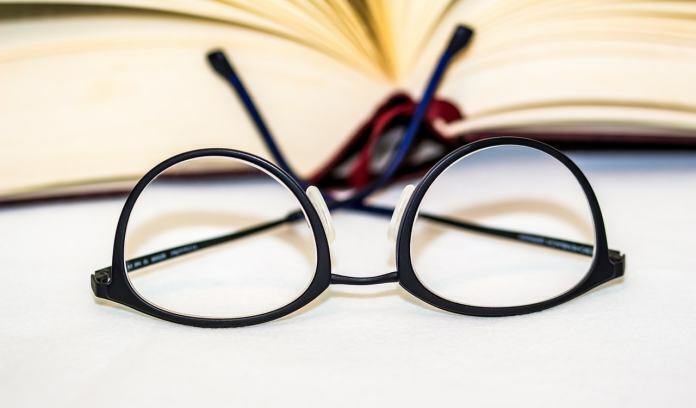 General studies: Everyday Science, Current events, and problems with special reference to India, elementary knowledge of Indian history and Indian Geography. Arthematics: Questions will be set on the basis of the syllabus of Madhaymik Examination of WBBSE with Mental Ability. Candidate need not carry any electronic gadgets in the examination hall. Candidate should bring their admit card and one valid ID proof. Candidate should bring their black and blue ball pen. Candidate need not carry any paper or study material in the examination hall.